Our Fronteer Spotlight series highlights some of our awesome team, the work we do, and what inspires us every day. Interested in joining us? Check out the openings on our jobs page. 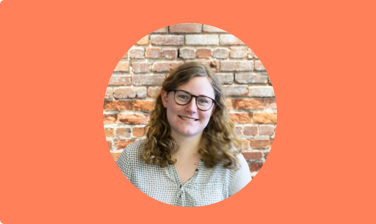 Eleonore: Hi, I’m Eleonore, and I'm a backend engineer here at Front. I joined the team in February 2018. I’m from France, and I moved to San Francisco three years ago to join the startup world. I’m a huge fan of sports. When I am not working, I’m either training for a triathlon or watching a game. What brought you to Front? E: When I joined, my roommate was already working for Front and loving it, so he referred me. I met Laurent, the CTO and cofounder, a few days later, and we got a chance to talk about the next challenges for Front. Since this was right after we had raised our Series B at the beginning of 2018, the momentum around Front was huge, and there were a lot of projects I was excited to help work on. On a personal level, I wanted to find a company where people were happy to come to work, and where transparency was one of the most important values. After meeting Mathilde (our CEO and cofounder) during the interview process, joining the Front team was a no brainer. E: As part of my job, I actually get to talk to some of our customers. What's motivating to me is realizing how many people really rely on what we're building. What I also love here at Front is that even just a few months in, I have a great project to work on, where I can be part of the product’s design and architecture — so I'm not only doing some bug fixes all day long. Because Front is a pretty complicated and collaborative tool, a lot can happen at the same time, which makes inbox counters a pretty interesting challenge. Every time someone archives a conversation, the counters need to be updated accordingly in every teammate’s inbox. We can’t rely on a simple count to display the number of messages in an inbox. What’s your favorite Front feature? E: It’s not a feature in itself, but one of my favorite things about Front is how easy it is to organize your inbox. Using a mix of tags and rules, and my “Assigned to Me” inbox, I know exactly what I need to do each day when I open up Front. I have a few rules that tag my conversations with the correct tag depending on subject and content. With one glance at the app, I am able to know exactly what customers I need to reply to, and what changes I need to make to my code. My goal is to try to get to Inbox Zero every day. What’s your favorite memory from being on the Front team? E: My favorite memory of being on the Front team is the day I signed my offer. It was my roommate’s birthday (who also works at Front), and I stopped by the office to celebrate his birthday. We ended up going to a great celebratory dinner with some of the Front team that night.